If you prefer practicality dressing when it comes to fashion, you'll love this stylish pairing of a grey blazer and a brown leather belt. 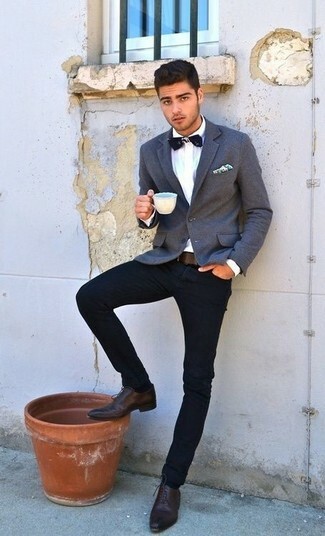 To add elegance to your getup, round off with brown leather oxford shoes. 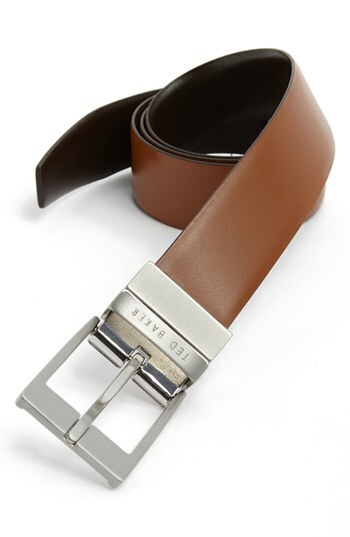 A navy suit and a brown leather belt are the kind of a tested casual combination that you so awfully need when you have no time to spare. For a casually stylish ensemble, wear a light blue plaid long sleeve shirt and a brown leather belt — these two pieces play nicely together. Combining a beige blazer with a Ted Baker London Reversible Leather Belt Tan Dark Brown 36 from Nordstrom is an amazing option for an off-duty ensemble. Go off the beaten track and shake up your getup with a pair of beige leather boat shoes. This relaxed casual combo of a navy blazer and a Ted Baker London Reversible Leather Belt Tan Dark Brown 36 is a surefire option when you need to look dapper but have no extra time to spare. Reach for a navy wool blazer and a Ted Baker London reversible leather belt tan dark brown 36 to be both knockout and relaxed. Aquamarine athletic shoes are an easy choice here. 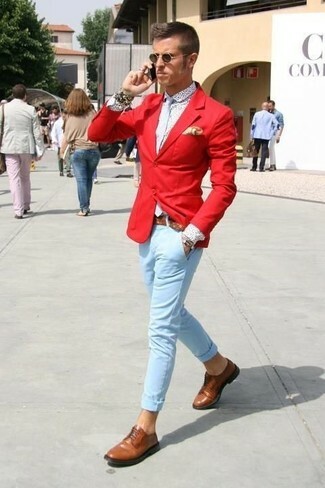 Team a red blazer with a brown leather belt for a modern take on day-to-day getups. Complement your outfit with a pair of brown leather derby shoes to jazz things up. 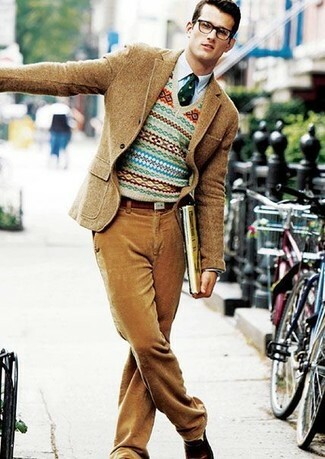 For an off-duty ensemble, Consider wearing a tan wool blazer and a Ted Baker London brown leather belt. 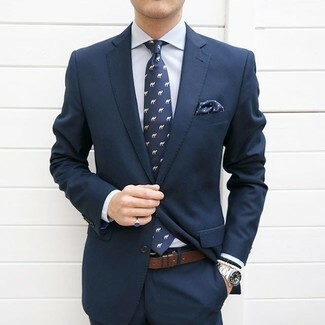 This combo of a navy suit and a Ted Baker London Reversible Leather Belt Tan Dark Brown 36 from Nordstrom is a safe bet for an outrageously dapper look. Amp up the wow factor of your ensemble with brown leather loafers.